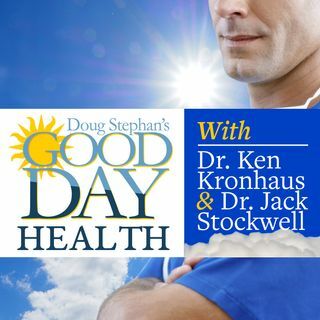 Host Doug Stephan and Dr. Ken Kronhaus discuss Childhood Vaccinations and the 15 Vaccinations that Children under 10 should have. Next a discussion on Pancreatic Cancer and Alex Trebek's situation. Sadly, only 9% of those diagnosed with Pancreatic Cancer make it to 5 years. Then, a discussion about Luke Perry's stroke and what causes them in younger people. One prevention is keeping your Arteries soft and flexible. Learn the Stroke warning signs. Do you know why your body needs ... See More Nitrous Oxide and how to produce it? BULLETIN: This just in. Host Doug Stephan got vaccinated. Plus, lots more information about maintaining your Good Health.